Free folk art patterns and free angel patterns. Primitive angel that loves herbs! By Monica Wilson. Angel craft pattern to paint on a glass candle holder. by Cindy Trombley. Angel patterns perfect for holiday decorating. This cute bunny pattern would be perfect to welcome in Spring! This springtime sewing pattern would look so cute in an Easter crafts display or as a surprise in someone's Easter basket! by Rustic Primitives. Greet your visitors this Easter season with a bunny on your mailbox! This project is versatile; you could make it a box/basket and fill it with Easter goodies or napkins; or hang it with wire for a door or wall plaque. Or put a stake on it and put it in your garden.by Susan Neal! Patriotic ornaments perfect to show your pride in our country. Dress up a clock with one of these printable clock faces. Just buy an inexpensive clock (less than $5), print out your fave clock face and replace it. This primitive flag pattern with a country chicken can be cut out of wood and painted or used as a coloring pattern or Christmas ornament. Free tole painting pattern for a gardening bird on a stick. Add a wooden bird to your garden. Celebrate the holidays with this charming gingerbread man lamp pattern. Thanksgiving crafts - Free scarecrow patterns, pumpkin patterns, stitchery pattern and more ideas. Primitive Annie free wood pattern. by Monica Wilson. Raggedy folk art fun! Add this free arts crafts project to your Raggedy collection.by Jennie 'n Co.
Free tole painting pattern for a wood rooster on a stand. Add to your rooster collection or make this easy craft project for gifts. Free primitive craft patterns for a wood rooster and a matching chicken. Great craft show idea. Free wood craft pattern for 2 chickens with painted hearts. Free Santa wood crafts and painting patterns for Christmas! Easy painting pattern for Christmas by the Snowman Shoppe! This Christmas wood craft project will start you on your way to the holiday season! This adorable free scroll saw pattern is a must for any santa collector! Easy to make! Country craft patterns for Fall - Free scarecrow patterns! What fun you'll have making this colorful and unique scarecrow! Unique fall scarecrow craft pattern. By Peggy Rinehuls. Easy craft pattern for fall by the Snowman Shoppe. Free scarecrow pattern to hang on the wall or sit on a mantel. This adorable free scroll saw pattern is a must for any scarecrow collector! Winter wishes from a chunky snowman! This cute snowman can be displayed all winter long. Great for craft shows. Season's Greetings spelled out in blocks! from the Snowman Shoppe. Nice way to greet all your flaky friends this holiday season! From Mulberry Street. Clyde the Snowman is just hangin' around waiting for you to stitch him up! Plant a Snowman from Funky Country Chicks! What could be better...snow sweater snowman by Peggy Rinehuls! There's never enough dry mittens in the winter by Monica Wilson. Snowball Season has arrived! by The Snowman Shoppe. 3 friendly Primitive snowmen patterns by Jodi Gadoury! Snowman perches on the top of your door frame or window frame. A hanging Snow Couple that will happily greet your holiday visitors. Snowman melting... make him quick before he melts away. 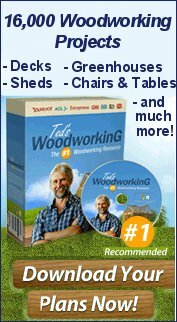 Great woodworking project plans and patterns for all skill levels. Here are the best woodworking books on the market! Choose from many topics. Join our Mailing List to be notified when new patterns are added!